When Stefan Hantke wrote his article, "Difference Engines and Other Infernal Devices: History According to Steampunk" in 1999, he warned against fixed definitions of the term: given "how quickly steampunk has fragmented into a bewildering variety of styles, critics would be best off considering their own definitions as working hypotheses, tentative, evolving fictions in themselves” (253). 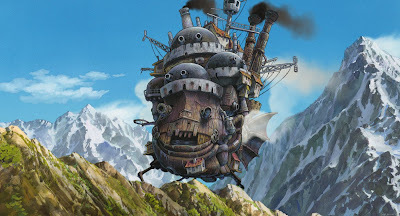 This has been borne out with my reading as well--each work studied produces some facet of steampunk's aesthetic, showing how the idea of steampunk wasn't something that sprang fully-formed from the mind of K.W. Jeter. The writers were forming the steampunk aesthetic, not necessarily setting out to write using that visual toolbox. However, recent steampunk works seem to be taking from the toolbox as much as they add to it. Cherie Priest's Boneshaker provides a good example of how this works. The story itself is not original in terms of plot: the runaway son being pursued by a protective mother is at least as old as Hans Christian Andersen's Story of a Mother. Adding monsters to the mix echoes the film version of Silent Hill, while the setting of a walled Seattle filled with Boneshaker's colourful cast of characters reminds me of Escape from New York: "Once you go in, you don't come out." Like my assessment of Perdido Street Station, Priest takes familiar pop culture storylines and makes them unfamiliar in a steampunk setting. Seattle is a prime target for a steampunk setting, given its reputation as a center of steampunk culture on the West coast, and Priest is to be commended for choosing the location, if only as a clever marketing ploy (which it isn't solely - Priest lives in Seattle, and is likely "writing what she knows"). 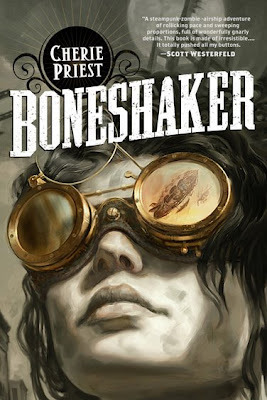 Priest has a small legion of devoted fans already in steampunk culture, and the buzz about Boneshaker was considerable. I don't think any other steampunk book released in 2009 garnered as much anticipation. Setting Boneshaker in Seattle seems like tribute to the North American steampunk community, and it has paid off in pre-release buzz. Seattle works well on a story level in that it still constituted a frontier city in the late nineteenth century, far from seats of government and control. Boneshaker could not have happened in New York, since the story requires a level of lawlessness that, despite the infamous four corners, New York could not provide. 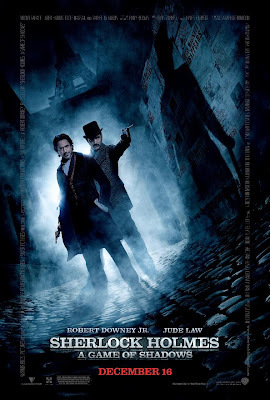 One might decry the lack of Victoriana, but that's what Priest brings to the toolkit - more American steampunk. It's not new, and I'm not only speaking of Wild, Wild West in either of its iterations: Priest joins the ranks of Joe. R. Lansdale, Lea Hernandez, Michael Chabon and Thomas Pynchon in steampunking the United States of the nineteenth century. Whatever steampunk "started" as, it has become an aesthetic of the nineteenth century - we might say the Victorian era, not just the Victorian culture. I would argue it was always this way--and thankfully, it's moving outside the Western boundaries, as evidenced by The Windup Girl. At any rate, what Priest offers the study of the aesthetic is a book that seems to have gone out of its way to be steampunk. I haven't read a steampunk book yet which features characters actually wearing the ubiquitous brass goggles, but early on, Priest builds them into her storyline, in a way which echoes my own reflections on the goggles in Steam Wars: "All the workers wore goggles with polarized lenses. For reasons no one fully understood, such lenses allowed the wearer to see the dreaded Blight" (45).One has to chuckle at the "reasons no one fully understood." It's as though Priest is winking at the naysayers, letting them know she's aware of the jokes: the goggles do nothing? Hardly -- they are the steampunk equivalent of cyberpunk's mirrorshades - they permit visions into this alternate reality. Within Priest's alternate reality of Boneshaker, they become the means to avoid the dangerous zombie-creating yellow gas. Yet for all this steampunk-by-the-numbers, Boneshaker is not a typical steampunk narrative. It has zombies, which are the monsters of the nuclear age. Of all the anachronisms of Boneshaker, the zombies are perhaps the greatest oddity of all, the result of noxious fumes from the underworld. And it has family, which is also a bit of an anachronism in steampunk literature. Steampunk heroes are rarely family folk, with the exception of Sir Robert Bruce in Fitzpatrick's War. They are either orphans, widows, widowers, or serial monogamists. Which is a bit odd, considering how children gained an unprecedented status in society in the nineteenth century. On this level, Boneshaker is refreshing. The premise intrigued me, and I enjoyed the first third of the book immensely. Sadly, the pace drags in the middle third, and I found the final pages unsatisfying. The level of threat from the zombies never matched the anticipation set out in the first chapters. I think zombie fiction should involve a fairly high and gory body count. Priest has a kindler, gentler zombie hand. While Priest excelled at the voice of Briar Wilkes, I found her son Ezekiel less-than-sympathetic: it's hard to care about a character who so willfully walks into harm's way. Perhaps the cast becomes too bloated, or maybe the number of meanderings through the underground of Seattle (Boing Boing called Boneshaker a "zombie steampunk mad-science dungeon crawl family adventure novel") simply became tedious: I haven't been able to pin down what didn't work for me. Perhaps, like Mainspring, it will deserve a second read and a different set of assessing goggles, but for the time being, I remain somewhat disappointed by the read. That said, I'm pretty sure this is a "Your Mileage May Vary" reading experience, as I know there are many who think very highly of Boneshaker. I liked the idea, and given that Priest still has the hands-down best short description of steampunk in existence, I'm hopeful that she may yet have the hands-down best-steampunk-with-intention novel. I'm excited someone is unabashedly writing steampunk, and not gaslamp fantasy, gaslight romance, or some other neo-Victorian speculative derivation meant to keep them at some sort of aloof distance. Priest embraces steampunk whole-heartedly, and that's worth applause from me. I find it interesting that one of the things you use to demonstrate the book's refreshing difference is one of the most overused gimmicks in fiction today. More zombies? Sometimes I wonder if Steampunk isn't more of a rehash of pop-culture from one and a half years ago rather than one and a half centuries. Thanks for the name-check! I want to point out that family figures into both of my Texas Steampunk book. In the first, the heroine, Glory, has both parents living in the same town, and finds herself pulled between them. In the second, Glory's half-sister, Temperance, travels with her uncle after leaving her mother. Wow! Lea Hernandez herself! Reviews of both your lovely books coming up in the new year! I just picked up Boneshaker, and I like it. Priest has a way of taking a routine thought and fixing it into a well-worded, clever perspective. There are, after all, only three plots about which to write. Priest chose one of which she probably has some authority. Her sentences sound like it. I don't mind the zombies... beats a bunch of vampires. Thanks for your thoughts Annotated. I liked the beginning as well, and I do find her a very capable writer. I just didn't find the last half as satisfying as the first. Good to have another perspective though. As I say, certainly a YMMV experience, as it's up for a Nebula!